The day of mourning declared following the death of former President George H.W. Bush will close post offices. The delivery of this week's edition of the Hillsboro Tribune will be delayed by one day as the U.S. Postal Service observes a national day of mourning for former President George H.W. Bush on Wednesday, Dec. 5. The Tribune is typically delivered on Wednesdays. But its distribution will be delayed this week until Thursday, Dec. 6. There will be no mail delivery on Wednesday, as the Postal Service offices and services will be closed. 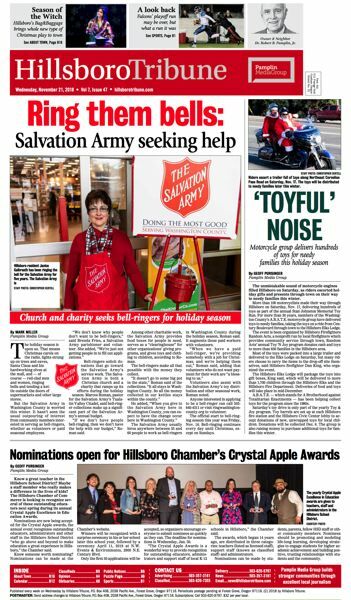 For more information, call the Hillsboro Tribune's circulation department at 503-620-9797.